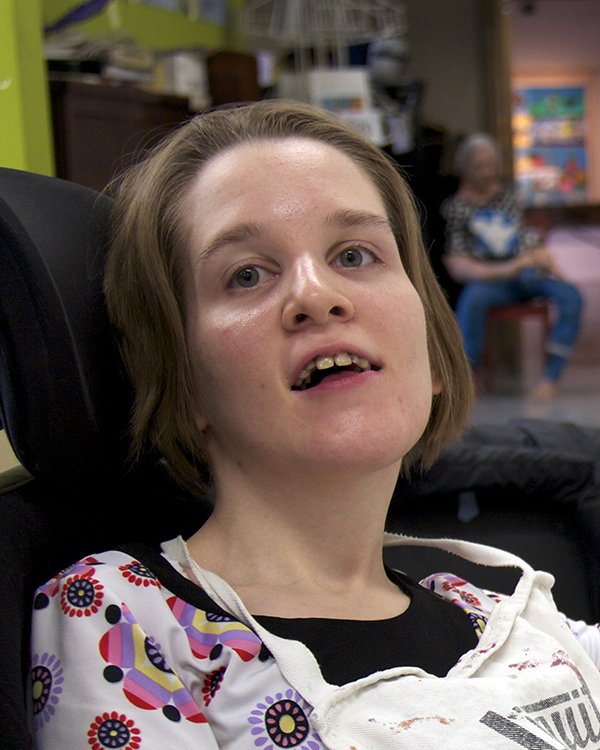 Stephanie was born in 1986 in Edmonton, and has lived here her entire life. She lives in a house with roommates. She has been involved in art for the last couple of years and always brings smiles when she comes to The Nina. She creates abstract acrylic paintings. Sometimes Stephanie uses oil pastels to bring out the highlights in the paintings. Being an artist allows Stephanie to express her emotions through her work. For Stephanie, art is important. It brings her feelings of happiness, and she feels gratifaction and pride when a work is finished.